The ESRPG is an optional roleplaying game designed for Equus-Sims members who are looking for a sense of achievement and purpose. For those who join, your goal is simple: advance your character or horse through their chosen career track until they reach the top of their profession. By entering events, you will have a chance to earn cool prizes, meet awesome people, and hopefully have fun developing your characters, horses, and stables! Information about enrollment is at the bottom. Please read through everything in this guide before joining. There are three types of "assets" a player can own and enroll in the ESRPG: characters, horses, and establishments (stables or businesses). Before joining the ESRPG, you'll need to create at least one asset to register. Each asset will have its own unique career opportunities. These "Career Paths" offer different ways for your assets to earn XP, hopefully giving you, the player, a unique experience with every asset you create. [attr="class","note"]NOTE: You can have as many of each asset as you can manage, but we recommend starting with just a single character and their horse. The ESRPG is meant to be a slower game, and progression will require patience and dedication. The careers determine how your asset can earn XP. All assets earn XP through active participation, but most have unique requirements or bonuses. You can check them out below. Additionally, every asset can have up to 2 careers. Careful though, it's double the work! Better to finish one, then transfer to the other once you've reached the top of your current career. If you love the thrill of competing, of building up your name and reputation through prizes and prestige, then you should consider becoming a Competitor. Characters on this track should be prepared to enter lots of competitions and riding lessons to reach the top of their career. Educators are responsible for hosting clinics and riding lessons that provide XP to Competitors (Characters) and Athletes (Horses). If you choose this track, be ready to host lots of training events for other players, or for providing them with training services. Athletes, like their Competitor human counterpart, love to compete. These horses dedicate their time and energy to gaining confidence, improving their skill, and besting competitors at shows. Horses in this track will be entering plenty of competitions and horse training seminars. These horses aim to build a bloodline with a reputation that endures generations. They are the ideal specimen of their breed, both in looks and talent. Horses in the futurity track are used primarily for breeding, but are also expected to compete in breed shows as well! Competition stables have one objective: They want to be represented at shows by the best of the best. They build their reputation by producing some of the most talented athletes and competitors around, and seeing them go on to succeed in competitions (with their name on the line!). They also aim to sponsor shows by providing prizes, a venue, or awesome swag for competitors and their horses! Breeding stables focus on genetics and producing only the finest quality equines. They become known by the success of their breeding stock, both in competitions and as sires or dams, and earn a reputation around the performance of their offspring as competitors. Serious breeders focus only on one breed and look to establish a long, proud lineage around their breeding stock. 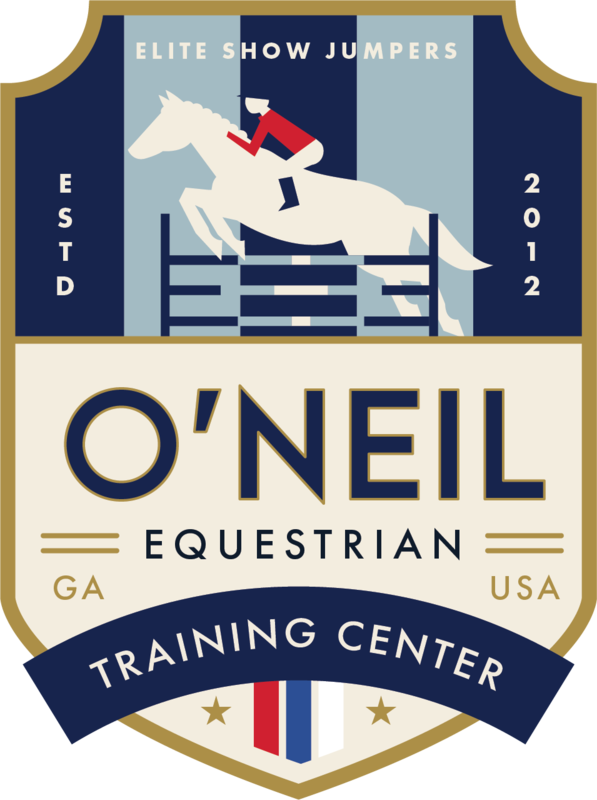 Training centers provide the community with every kind of amenity required for horse and rider training, and can also be used as venues for competition. They acquire students, and build a reputation around the success of their students as they compete in the ESRPG. Likewise, the quality of their trainers says a lot about their ambitions. Businesses worry less about competitions and more about providing services for the characters and their horses. Sometimes it's a brand that provides us with various goods, from feed to tack, but it may also include services within the equine healthcare industry, from vets to chiropractors and beyond. The ESRPG level system is used to measure the progress of your character, horse, or establishment throughout their career. All career tracks have 10 levels, and each level has its own XP requirement for leveling up. Each level is grouped under an "event tier." 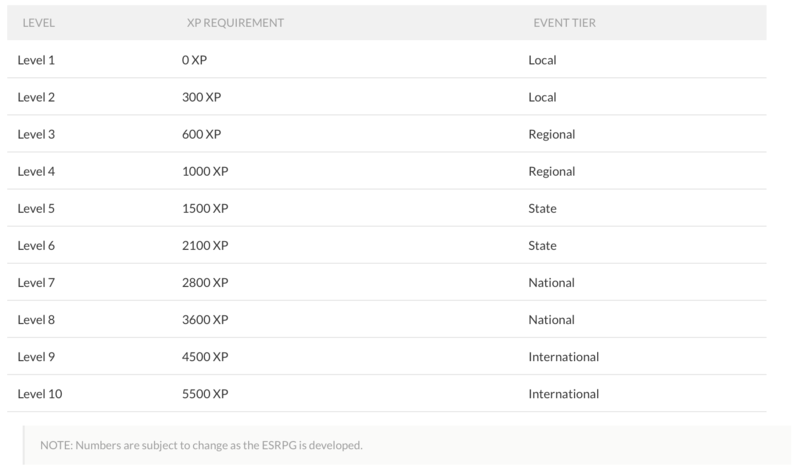 These tiers determine which shows and other events your asset qualifies for entering, as well as how much XP you can earn in a single event. It’s important to note here that the ESRPG level system does not correlate to the skill level of your horse or character. For example, your character can be an experienced show jumper as per their backstory, even if they are only a level 2 in the ESRPG. NOTE: Keep an eye out on our ESRPG updates. These are subject to change, or you may find new additions over time! These two are the most common ways to earn XP and, for most careers, they yield the greatest amount of XP, which is determined by the event tier. XP of this amount can only be earned once per event, and they yield more and more XP as you progress up the ladder of your career. XP can be earned by any event held on the forum, but #ESRPG yield the most XP you can earn in one activity - so you don't want to miss them! [attr="class","note"]NOTE: Your asset can earn 50% XP when entering an event outside of their career. For example, when a competitor attends a clinic, it yields 50% XP, unless they want to apply it to their secondary career as a trainer. Likewise, if your trainer enters a competition for fun or practice, they can earn 50% XP toward their trainer career. In addition to the above, you can easily collect XP for your characters and horses just by being an active member here on Equus-Sims. This includes album updates, workshops, stories and legacies, or any other activity on the forum outside of the ESRPG. [attr="class","note"]NOTE: These do NOT currently apply to establishments, with the exception of businesses - which depend on photos for their services and products to earn XP. [attr="class","note"]NOTE: Characters and horses must be the subject of the photo or story to be award XP. If they're in the background of a photo and out of focus, or if they're just mentioned in a story, they do not collect XP. XP bonuses vary from asset to asset. We hope to expand these over time to make your experience all the more unique. All bonuses have their limitations, and generally can only be earned once per event (competition or clinic). It is up to the player to track all XP for their characters, horses, and establishments. However, we won't leave you stranded! You can use our handy dandy activity log below for any one of your assets. These will likely need to be modified based on how you manage your assets, so feel free to make a copy and use it as a base for your own tracking method! Cool thing though: It currently auto-calculates total XP, current level, and event tier! Once your asset reaches the top of their career, they may choose to remain at level 10 and eventually retire, OR use their level 10 perk to transfer to another career. This will put automatically put your asset at level 5 of their new career (this is standard across all character and horse careers). Additionally, they will be eligible to join the ranks of our Hall of Fame for their finished careers. [attr="class","note"]NOTE: While you may transfer careers at any time before level 10, doing so may be costly. Make sure you pick a career you can commit to from the beginning to avoid having to start from scratch! With the beginning of 2018, we've decided to make some add-ons to your show experience here on Equus-Sims. We are introducing an official "Show Season!" During the course of the season, we will be offering shows every month starting at the Local tier and ending at the International (Olympic) tier. You can read all about it in the guide below! There is no official ESRPG currency and the use of RP cash is 100% optional. You are permitted to use RP cash as payouts in shows, fees for various services or the purchasing of horses, vet bills, and other things of that nature. However, you are not permitted to "require" the use of RP cash, meaning you cannot enforce this gameplay on other players. It is intended only to provide additional realism to the ESRPG experience. The ESRPG is based on integrity, meaning that Equus-Sims does not police its players. However, we do have some rules in place to ensure fairness and fun for everyone who participates. Additional limitations are placed on your characters, horses, and establishments once they begin their career. You can find these listed along with their career track's limitations and benefits. Our forum conduct and posting rules apply to all ESRPG events and activities. In order to collect XP in these events, your character(s), horse(s), and/or establishments(s) must be enrolled with ESRPG. Do not enter events for which your character or horse is not qualified (must meet the level/tier requirements). Do not host events unless your character is qualified to do so (educators, or official show season shows). Do not give out more XP than you're permitted to give to event participants (when hosting). Be honest with your XP accumulation. You're only cheating yourself if you lie about how much you've earned. Be honest with your judging in events. Do not abandon events you're hosting. Tell an administrator if you need someone else to take over your event. If using RP cash, you cannot enforce this gameplay on another player. Everything in the ESRPG is completely free for all players. Cash is for RP purposes only and is 100% optional. As always, be fair and kind to one another. [attr="class","note"]NOTE: All of the above rules are enforceable by the forum admin when necessary. You may be asked to make corrections until all criteria is met, particularly when hosting events. Enrolling your characters, horses, and establishments is mandatory for earning XP in the ESRPG. There is no approval process, meaning any Equus-Sims member can join. However, profiles must be 100% complete before your asset can be considered enrolled. Simply head on over to the appropriate board for your asset and create a thread for them, enrollment is that simple!